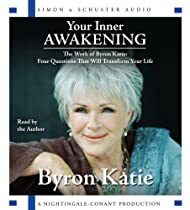 Byron Katie (she was born Byron Kathleen Reid, and everyone calls her Katie) discovered inquiry in 1986. The Work is her remarkable method for finding happiness and freedom. Katie has been traveling around the world for more than a dozen years teaching The Work directly to hundreds of thousands of people. In addition, she has introduced The Work into business settings, universities, schools, churches, prisons, and hospitals. Her website is www.thework.com, where you will find her schedule, articles about her, registration forms, and basic information about The Work. The Work is meditation. It’s about opening to your heart, not about trying to change your thoughts. Ask the questions, then go inside and wait for the deeper answers to surface. In its most basic form, The Work consists of four questions and turnarounds. For example, your statement might be “[Name] doesn’t listen to me.” Find someone in your life about whom you have had that thought. Then take that statement and put it up against the four questions and turnarounds of The Work. Turn the thought around. Then find at least three specific, genuine examples of how each turnaround is true for you in this situation. Gratitude is what we are without a story. I am devoted to total world peace. I am the world. I don’t let go of my thoughts, I meet them with understanding, then they let go of me. When you question your stressful thoughts, the freedom that comes out of that graces the world for all of us. I pray for peaceful pauses within ourselves to acknowledge our gratitude for life and all its complexities.